Incident Location: 5830 S. Pine St. 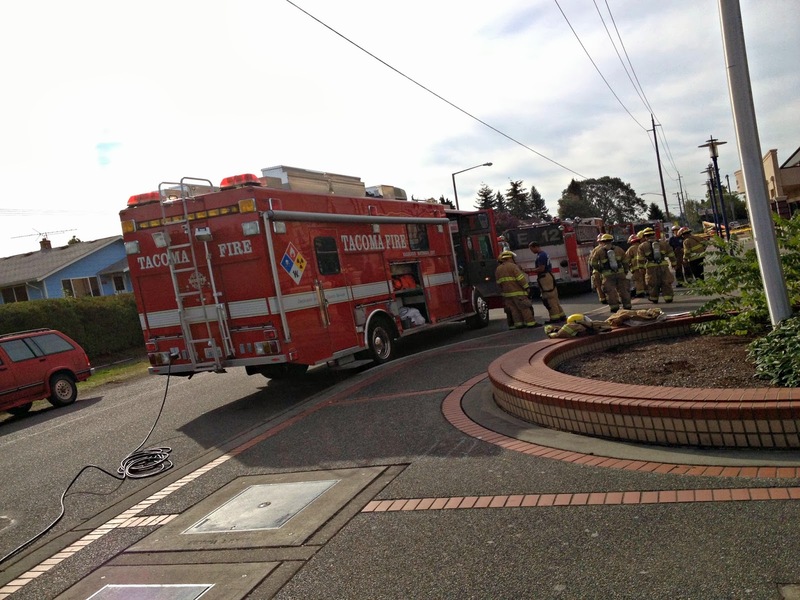 Narrative: At 9:34 AM, a single engine company was dispatched for a reported odor investigation at Edison Elementary School. Upon arrival firefighters noticed a heavy odor in the building and with students and staff reporting feeling light headed and nauseated they quickly upgraded the incident to Hazardous Materials Mass-Casualty-Incident, bringing numerous resources to the scene. Operationally, a triage center was established in the playground while the entire school was evacuated. Medics evaluated about 50 students and staff and 18 of those patients were transported by private ambulance to area hospitals and 29 were transported by a school bus to an area hospital for evaluation. All patients were transported for precautionary reasons and there were no serious injuries to report from the incident. Hazardous materials crews helped ventilate the building and used air monitoring equipment to determine that the air quality was within normal limits around 11:30 AM. 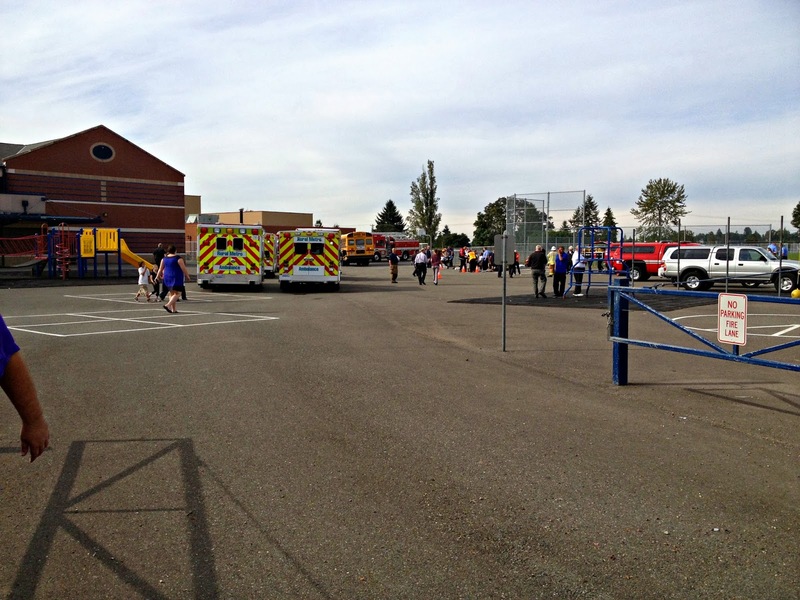 Students unaffected by the incident were allowed back in the building to resume their school day by about noon. Preliminary indications are that a leaf blower being used for some maintenance on the roof of the structure allowed noxious fumes to enter an HVAC air intake, where it was distributed inside the school with varying levels of concentration. 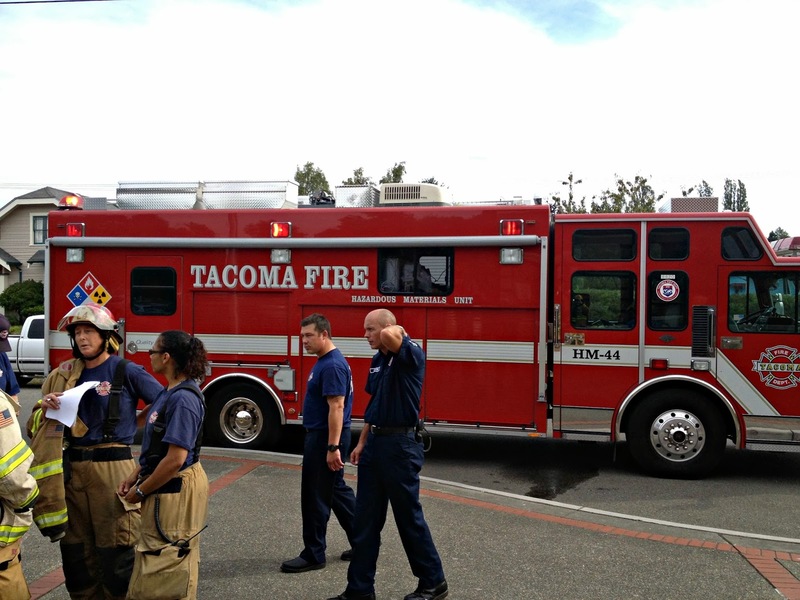 On Saturday September 14, Tacoma Fire Department’s Technical Rescue team responded to two separate ship-board rescue incidents. At 7:53 p.m. crews mounted a high angle rope rescue operation for a longshoreman that fell into the hold of a large cargo ship and sustained a leg injury that prevented exiting from the hold. (APM Terminal -1002 Milwaukee Way). Firefighters tended to the injury and assembled a high angle rope rescue using a stokes stretcher to secure the patient, remove them from the hold and then transport them to an area hospital. At 9:42 p.m. firefighters responded to a separate reported injured longshoreman. 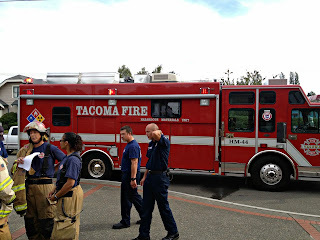 (Pier #7 - 1070 Port of Tacoma Road) In this incident a longshoreman suffered a head laceration and was unable to exit the hold. 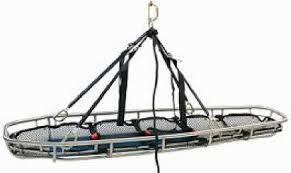 As in the previous incident, firefighters tended to the injury and assembled a high angle rope rescue using a stokes stretcher to secure the patient, remove them from the hold and then transport them to an area hospital.